Merry Meet on this last day of August! I’m sure you all are enjoying the last of the Summer days. I hope everyone is ok after both the Earthquakes that hit even my area (I didn’t feel it but heard the rumbling and didn’t know what it was) and Hurricane Irene that was so widespread all along the East Coast….worse in some places then expected and not as bad in others as expected. I have several facebook friends who were impacted and though they have had some trials with flooded basements, downed trees, and massive power outages….everybody is ok I’m happy to say. I am also happy to say that Summer is about over here in Ohio. This has been one of the hottest Summers on record here…way too many days over 90 degrees in July and August. Here towards the end of August we have had some delightful days that have given me over to thinking about Autumn as you can tell from my last post. There are some signs of Autumn around my yard and around my town as well. The stores have started decorating for Fall, some trees have started getting some color, the sedums are changing color, mums are in the garden centers, apples are heavy on the trees. Ground critters are gathering, deer have full antlers, birds are busy at the feeders and geese are gathering. I just love it! So as I said in my last post, I’m going to give you some recipes that I think are perfect for Mabon. Some I have made and some I plan on making. These are all from my own recipe box or cookbooks. You will see a theme going I think when you peruse them…. :) I just love cooking and baking in the Fall. There is something so cozy about the house scented with good foods in the crock pot or the oven or the stovetop. So here you go with a few wonderful recipes! This Mabon incense recipe is one of my favorites…it just smells incredible! Ok, now onto the good stuff for our stomachs! Combine all ingredients; bring to a boil. Reduce heat and simmer for 30 mins. Strain to remove spices; serve. Combine flour, brown sugar, and butter with a fork until crumbly; stir in nuts. Divide mixture in half. Press one half into the bottom of a buttered 9 ½” springform baking pan to form crust; set aside. Add baking soda, cinnamon and salt to remaining crumb mixture; mix well. Make a well in the center; set aside. Beat egg with sour cream and vanilla in a small bowl until smooth; add to flour mixture, stirring until just combined. Fold in apples; spread batter evenly over crust. Bake at 375* for one hour and 20 minutes or until cake tests done; cool in pan on a wire rack. Makes 12 servings. Preheat an oven to 325* Line the bottom of two 9×5-inch loaf pans with parchment paper. Mix flour, baking soda, salt, baking powder, and cinnamon in a bowl. Beat sugar, vegetable oil, eggs, and vanilla extract together in a large mixing bowl, and stir in zucchini and pineapple. Gradually pour in the flour mixture, mixing until just incorporated. 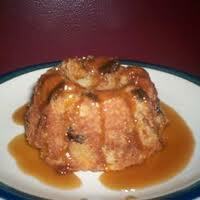 Fold in raisins and walnuts, mixing to evenly combine. Divide batter evenly between the two prepared loaf pans. Bake in the preheated oven until a toothpick inserted into the center comes out clean, about 1 hour. Working with one loaf at a time, hold the pan on its side and gently tap the sides of the pan against the counter to loosen it. Cover the pan with a cooling rack, and invert it to tip the cake out of the pan and onto the rack. Peel off the parchment paper, and allow bread to cool completely. Combine squash with 4 Tb butter, syrup, brown sugar and spices; mash well and set aside. Melt remaining butter in a large pot over medium heat; add flour and cook for 3 mins, stirring constantly. Blend in broth and cook until soup thickens. Stir in squash mixture, applesauce and apples. Cook over medium heat until warmed through, stirring often. Add cream and heat just until soup begins to bubble around the edges. Cool and refrigerate overnight. Reheat over medium heat until warmed through. Makes 6-8 servings. In a blender, combine the lemon juice, sugar, onion, mustard and salt. While processing, gradually add oil in a steady stream. Stir in poppy seeds. Transfer to a small pitcher or bowl. Cover and refrigerate for 1 hour or until chilled. In a large salad bowl, combine the romaine, cheese, cashews, apple, pear and cranberries. Drizzle with dressing and toss to coat. Makes 10 servings. Preheat the oven to 400°. Place the pork tenderloin in a roasting pan or casserole dish. Combine the remaining ingredients in a bowl and stir. 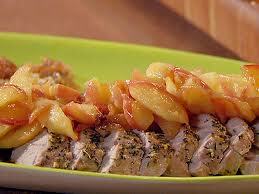 Spoon the apple mixture around the pork tenderloin. Cover and bake 30 minutes. Remove the lid and spoon the apple mixture over the tenderloin. Return to the oven and bake 15 to 20 minutes longer, or until pork tenderloin is browned and cooked through. A meat thermometer in the center should register at least 150° to 160°. Place squash cut side-up in a 13” x 9” baking pan; pour apple juice on top and set aside. Combine butter, nutmeg, brown sugar and zest in a bowl. Divide apple slices evenly among squash halves; pour butter mixture over apples. Cover and bake at 375* for 45 to 50 mins. Serves 4. Cream butter and sugar together. Beat in egg and vanilla and set aside. Combine flour, baking soda, cinnamon, salt and nutmeg; gradually add to creamed mixture. Fold in apples. Pour into a greased 8” x 8” baking pan. Bake at 350* for 40 – 45 mins. Serve warm with Butter Sauce. Makes 12 servings. Melt butter in a saucepan; stir in sugar, brown sugar and half and half. Bring to a boil over medium heat, stirring constantly. Reduce heat; simmer, uncovered, for 15 mins, stirring occasionally. In a bowl, blend sugar and spices. Beat eggs; add milk and vanilla. Combine the sugar mixture. Stir in potatoes; beat until smooth. Pour into pie shell. Bake at 425° for 15 minutes. Reduce heat to 350° and bake for an additional 30 minutes. Combine topping ingredients. 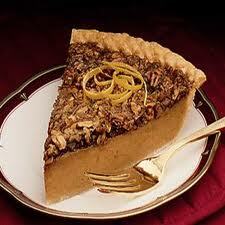 Remove pie from the oven; sprinkle with topping. Bake 10-15 minutes or until topping is golden brown. Cool on wire rack. Store in the refrigerator. Serve with whipped topping or ice cream. 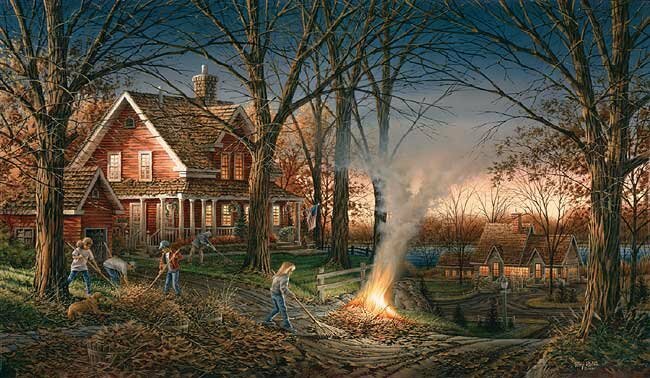 Have family or friends over for a nice meal, start a bonfire and roast marshmallows outside or have the warm cider after you eat by the fire. Put out bales of hay with old blankets thrown over them for everyone to sit on. A soup party is sooo much fun to have this time of year. When light jackets or sweaters will do the trick on a cool Autumn night. Just make 2-3 different types of soups and keep them warm in crock pots. Add lots of toppers for the soups, some homemade bread, sweet cider and something made with apples for dessert and you have the makings of a great Mabon! Light candles in jars or lanterns to add ambiance. Use Fall colored bandannas as napkins. Give everyone a small mum to take home as a little gift or bake a loaf of bread for each family or give them a jar of apple butter or apple sauce you made yourself. The ideas for this Sabbat are endless! Until my next post, hope you have a wonderful Labor Day weekend and that you all have a relaxing long weekend and if its not relaxing..well then I hope it’s fun! *Sources…Recipes are from my own cookbooks and my own recipe box. Pics are from the internet. Merry Meet friends. Hope you all are having a wonderful late Summer. The sweltering heat finally let up here last week and we had several days of upper 70’s weather which was sooooo lovely and most welcomed! Now, hot, humid days are back…as expected 🙂 But now, things feel completely different. Autumn is coming slowly but surely. The Sun is setting earlier and rising later, the squirrels and chipmunks are gathering, I’m seeing more birds at the feeders. My Autumn Joy sedum is turning from green to rusty orange, our tall grasses are turning yellow, and we are seeing Deer everywhere around our neighborhood. My thoughts are turning to the last harvest of my herbs, planting mums, comfort foods in the slow cooker, and I’m craving anything made from apples 🙂 Autumn, if you know me, is my very favorite time of year. It always has been. I live for crisp days, crunching leaves, autumnal color, wearing warm cozy sweaters and jackets, drinking hot spiced cider and having a fire..inside or out! Ahhhh..I just can’t wait! I love this description from this book…it so describes for me what is going on this time of year. The next Sabbat on the Witches Wheel of the Year…is Mabon. 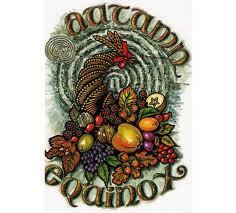 It’s the Autumn Equinox, the 2nd harvest festival. A time of great joy and thanksgiving, a time on the Earth when, again, night and day are in equal balance. In ancient times, people took a respite from their labors in the orchards and fields, and spent time feasting and giving thanks for the Earth’s bounty. Wine and apples were offered as gifts to the Goddess, who is moving into her Crone age, as the Sun God dies and prepares to be re-birthed. 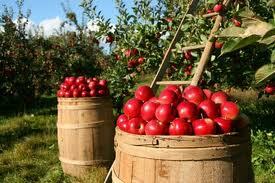 At Mabon, as the nights get longer, the harvest is stored for the long, cold winter. Pantries are stocked with the last of summer’s riches. 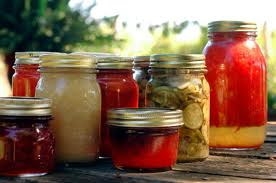 The fruits and vegetables are canned, preserved, and stored against winter’s chill. Any projects started in the summer are finished up before the snows come. Wood is cut and seasoned for cozy Winter fires. Garden beds are mulched over and prepped for next year. Rakes are pulled out and the first leaves are turning vivid colors. It’s a busy time of year..but also a time to prepare to be inside more, to rest and reflect on the year so far. 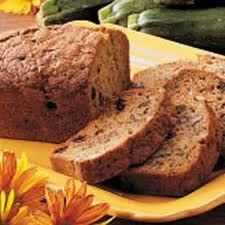 It’s also a time for family and friends to enjoy the last of the warm days and the fresh foods from their gardens. *Symbolism– Second harvest, the mysteries, Equality, balance, death of the God, assumption of the Crone, balance of light and dark, increased darkness, grape harvest, preparation for Winter, Pagan day of Thanksgiving. *Symbols/Tools/Decorations– Wine, gourds, pine cones, acorns, grains, corn, apples, vines Pomegranates, horns of plenty, Indian corn, autumn flowers, red fruits, hazelnuts, Colorful leaves, grapes, harvested crops. *Herbs– Acorn, benzoin, ferns, grains, honeysuckle, marigold, myrrh, rose, sage, solomon’s seal thistle, tobacco, milkweed, astor, passionflower, hazel, hops, cedar. *Incense/Oils– Benzoin, myrrh, sage (Autumn blend) pine, sweetgrass, apple blossom, jasmine, frankincense, patchouli, cinnamon, clove. *Colors– Red, orange, russet, maroon, brown, gold, green, scarlet, yellow, purple, indigo. *Customs/Activities– Making wine, gathering dried herbs, plants, offerings to land, bringing in the harvest, offering libations to trees and land, walking in the woods, decorating burial sites with apples, leaves, acorns, and pine cones to honor the dead, gather seed pods, fishing, harvest crops by the Harvest moon. *Foods– Breads, nuts, apples, pomegranates, root vegetables, wheat products, cornbread, grains, berries, nuts, grapes, acorns, seeds, dried fruits, corn, squash, wine, ale, cider. *Gods– Mabon, Thoth, Thor, Hermes, The Green Man, Sky Father, Hermes, Dionysus, Bacchus, the Corn Man, aging Gods. 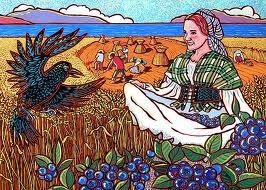 *Goddesses– Morgan, Epona, Persephone, Pamona, the Muses, Triple Goddess-Mother aspect, Demeter, aging and harvest Dieties. *Spellwork/Ritual– Protection, prosperity, security, harmony, balance, self-confiden introspection, the Celtic Festival of the Vine. There is so much to do to celebrate this wonderful Sabbat. Have a Autumn themed feast with friends and family. Decorate your home with garlands of leaves, pumpkins, gourds, bittersweet vines, cat tails and apples. A soup party is easy to do….just make a couple pots of different soups. 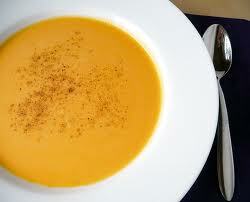 Serve soup toppers like shredded cheese and crackers. 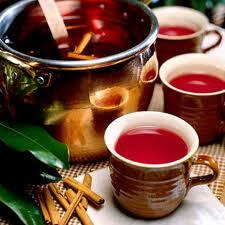 Have hot apple cider and cherry or apple crisp and warm crusty bread. Have a bonfire for them to gather round. They will remember this harvest night. You could host or attend a wine-tasting party in honor of Dionysus, Roman God of Wine, who is traditionally celebrated at the Autumn Equinox. Have the women in the family over to your house, to make apple or pumpkin butter, applesauce, jams and jellies…… send some home with everyone for their pantry. Go for a nature walk, collect beautiful fallen leaves, acorns, pine cones, bittersweet, grapevine..things you use to make a beautiful Autumn wreath for your front door. Or fill a wooden bowl with a beautiful candle and place your finds around the candle and put it in the center of your table. Rake leaves into a pile and let the kids jump in and take some great pictures! 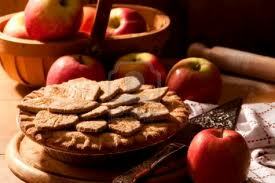 Go to a “you pick” apple farm and come home with a peck to make a delicious pie! Go on a hayride or go thru a corn maze with the kids. Wrap up in a blanket and watch the Harvest Moonrise with someone you love. 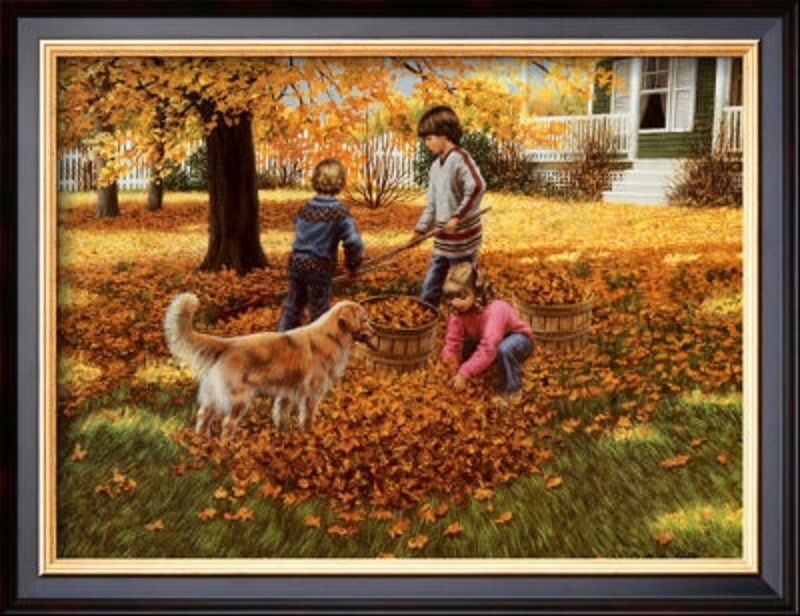 Autumn is such a beautiful time of year..don’t let a minute of it pass you by without enjoying it! Mabon is a good time to meditate and reflect on your year so far, what you would like to see manifest in your life in the next year. Spend some time on yourself. Read those books you’ve always wanted to read, start that new project, learn a new hobby or language (I would love to learn Gaelic! ) or take a course in tarot or runes or herbology. You will be less busy when you aren’t working outside as much..take advantage of it…for your own good 🙂 Mabon is also a good time to set up new protections around your home. To do prosperity spells or to focus on getting balance in your life. Airing out your house from being closed up all Summer, some Fall cleaning, and giving your home a good cleansing before it’s too cold to have the window’s open…. is a good idea too. 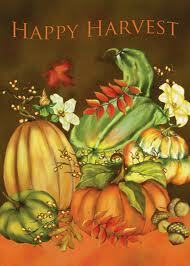 I’ll be posting more Mabon info in the next couple of weeks. Recipes, ritual, and altar pics as usual. For now, I wish you a wonderful weekend and entreat you to enjoy these last warm days…as I feel it in my bones that Autumn is not far away! Merry Meet my friends! The heat continues here in Ohio…probably the hottest summer I can remember in a long time. However, we have one more day of it then more seasonable weather comes in FINALLY! We will be right around 80 for a few days with very low humidity..that makes me one happy happy witch! 🙂 Maybe we can actually go outside and do something fun LOL! I will be happy just to sit on my porch in the cooler morning with a cup of coffee..or to go on a picnic or to a park. My grandkids might even be able to be outside, to swim, to play on the swing set. How wonderful! 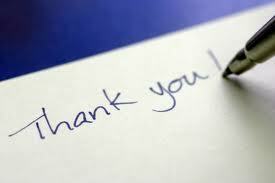 I am writing to THANK YOU all so so much for following my blog, for reading it, for giving me feedback and commenting, and for sharing the link on your facebook walls. I now have 110 followers and almost 21,000 hits! I am most grateful for your friendship as well for those I feel I’ve gotten to know. I never dreamed that my blog would be read by anybody at all. I really just did it for myself, so I’m very pleased and feel in my own mind that it has been worth my time and effort…for others as well as myself. Thank you again so much. Having said that, I was thinking about Gratitude as I was looking up some quotes and pics to post here. I have talked about it here before. 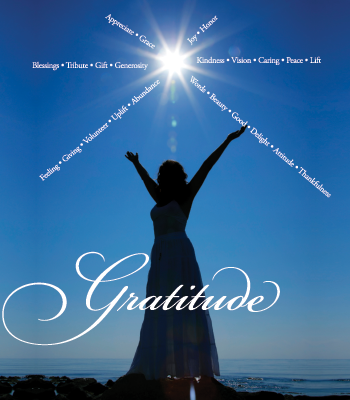 I am a true believer that living a life in Gratitude gives us a happier, better life. The benefits to our lives is enormous when we feel thankful for the Blessings in our life. It is up to each of us to decide what the Blessings are! Some people only feel thankful for the BIG things..you know…like our loved ones being safe and healthy, that the tornado missed us, that the house didnt’ catch on fire, that we weren’t killed in the shooting that happened somewhere else, that it’s not our dog laying dead at the side of the road. Those things are so easy to be thankful for aren’t they? I think though, it’s being grateful for the small, everyday things that helps us to live with a grateful heart. Be thankful for the waitress who smiles at you and gets her job done well, be thankful for seeing a deer at the side of the road, be thankful for someone holding the door for you or for the cool breeze that cools you when you’re hot. Keep a list in a journal or beside your favorite chair…think back over your day….what did you see, do, feel that made you feel happy and thankful today??? Write it down…you will find yourself looking for things to be thankful for. Remember, the opposite of Gratitude, is Ingratitude! Nobody wants to be un-grateful. Taking things for granted is a bad way to live. Especially for a witch or a pagan who wants to live a life of joy. Now, to take my own advice. I have done a lot of griping here lately about the HOT steamy weather. It has made me grumpy, lazy, tired and I just want the days to pass until we have cooler weather. When I think about this, I feel pretty bad about it actually. I have so much going on to be happy about and I’m letting the WEATHER color my day black??? That really is ridiculous when I think about it. Yes, I want the Hot weather to go..but I should be grateful for each day no matter what! I have a lovely family I’m blessed to have in my life, daughters who bring me great joy every day. The sweetest, most adorable grandchildren, a loving son-in-law, a husband who is hard working and cares for his family, an extended family who is there when needed always. I have my path, a beautiful home I love, two magickal cats who give unconditional love. I have food and clothes and books and things I love to do, buy, see. I am blessed beyond measure. I should thank the Goddess that I have air conditioning in this heat and quit griping about the heat! I have friends out there who are not as blessed as me and I know it. I should never take for granted the things I have that other’s do not! I think of what is going on in the world too. The economy and so many out of work. The war and the deaths of 20 American Navy Seals. 😦 Riots in London, mothers who kill their children, the cost of living, politicians who can’t work together. The news everyday seems so depressing and sad and can make me feel helpless and distraught about what’s going on in the world. Makes me want to quit watching the news completely! But if you have a grateful heart, you can still find the good things in your life and be happy with what you have..the Blessings. Now I’m using the weather as a simple illustration of what I’m talking about. Think about the words that come out of your mouth and creep into your mind. Are they positive and thankful or are they negative and un-grateful. Which would make you feel better? 🙂 This is not an easy thing….trust me! I struggle with it too ..as you can see by my sample. But it’s worthwhile to focus on it and work on finding the things in your life that fill you with Gratitude. Even if it’s just one thing…it’s a start! “As each day comes to us refreshed and anew, so does my gratitude renew itself daily. Filed under Quote, Summer, Thank You!